The World Series: it’s still too soon to talk. The Mavs season: not happening. Well at least there’s this: you can now tailgate with a rotisserie grill in your briefcase. 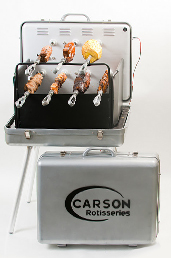 Meet Carson Portable Rotisserie Grill, an indispensible new grill for those times when you absolutely need a twirling chicken on the go, available now. Imagine a standard silver briefcase—the kind typically used for transporting thousands of unmarked bills. Then, combine it with a 4,000-inch grilling machine with seven rotating skewers, a charcoal tray and a car outlet. It’s like a George Foreman grill you can carry to work. So picture it: this weekend you have tickets to the Seattle game and it’s your turn to host the tailgate. (Plus, your friend Nelly Cruz needs a pick-me-up.) That’s when you’ll want this. After you’ve made it to JerryWorld and given your bouncers the VIP list, you’ll set this up: screw on the legs, plug it into your car charger, fill up the tray, make the obligatory joke about skewering a Seahawk. Then you’re ready to toss on your secret snack: bacon-wrapped bacon (the Inception of tailgate food). 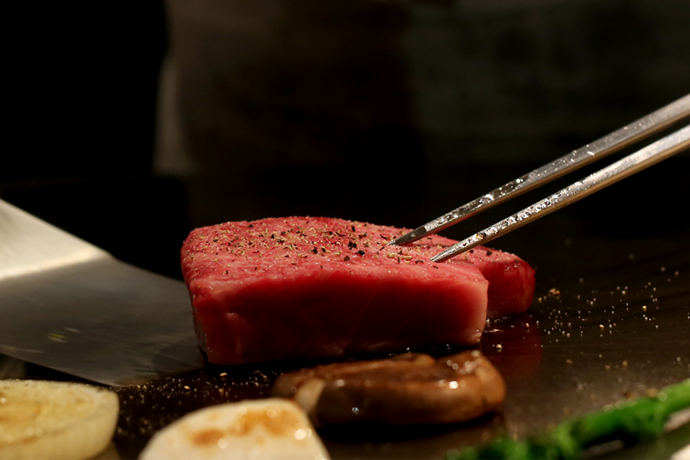 You’ll watch as the bacon does beautiful 360s over the open flame. Finally, Cruz will appear, and you’ll greet him with some grub. Nothing heals the soul like bacon.